Timeline understands your necessities when disposal of surplus telecom hardware equipment is required. 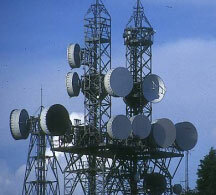 We customise telecom assets recovery services to cater to your exact needs. With years of experience in the telecom asset recovery business, we can help you determine and leverage the value in your unwanted equipment. We remove equipment that does not meet your needs any longer, was never deployed or you are just looking to upgrade – we purchase any manufacturer of telecom gear. Our Asset Recovery solutions enable businesses to unlock the value of their redundant or end-of-life telecom hardware assets. We provide full asset tracking services and follow the environmental obligations for equipment disposal. Asset recovery - we help you to realise full value by refurbishing functional equipment, salvaging spares, recovering commodities and recycling materials. Environmental compliance - we provide a complete service managing end-of-life products, ensuring you comply with environmental regulations, such as the European WEEE directive. Operators have long been focused on keeping costs low - but in tight economic times, cutting costs becomes even more important. A solution to take is optimising your spare part management processes. A key area for operational improvement in service delivery is management of spare parts inventory. Timeline service businesses has developed and implemented advanced spare parts planning systems per unique customer situation that have resulted in significant reduction of inventory costs, while improving customer service levels and equipment uptimes, achieving therefore good results within months of project start. Our goal of effective spare parts management is to have an optimised aftermarket supply chain that fulfils spare parts demand, minimizes excess inventory, dispositions waste in an eco-friendly manner, and reduces supply chain costs. The control of on-hand inventory of multivendor telecom hardware and on time delivery is a challenging task. The handling, dimensioning, warranty screening and managing tasks are complex. 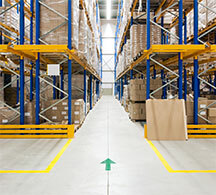 To respond quickly to maintenance events, Timeline uses global third-party logistics providers to warehouse and overnight-ship the correct parts to the customer when required for a maintenance event. Timeline Global Telecom Solutions offers a turnkey package which lowers efficiently your costs and take the pain out of your spare parts management. Customers turn to Timeline to develop, implement and manage all telecom equipment remanufacturing activities. These activities include, reconfiguration and engineering services coupled with the sorting, inspecting, receiving and storing of goods for refurbishment and redeployment. Timeline also perform thorough testing, restoration and recertification of equipment to OEM customer required specifications and revision levels, at the frame, bay, shelf, cabinet, chassis, circuit pack (FRU) and component level. Timeline offers component harvesting of critical components to support end-of-life circuit pack (FRU) refurbishment. All the equipment Timeline remanufactures and recertifies meets OEM and service provider standards. 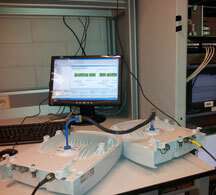 Customers turn to Timeline to develop, implement and manage all telecom equipment remanufacturing activities. These activities include, reconfiguration and engineering services coupled with the sorting, inspecting, receiving and storing of goods for refurbishment and redeployment. Timeline also perform thorough testing, restoration and recertification of equipment to OEM customer required specifications and revision levels, at the frame, bay, shelf, cabinet, chassis, circuit pack (FRU) and component level. 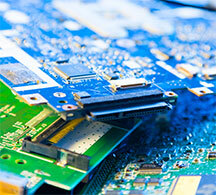 Timeline offers component harvesting of critical components to support end-of-life circuit pack (FRU) refurbishment. All the equipment Timeline remanufactures and recertifies meets OEM and service provider standards. Managing post sales activities for global customers is challenging for the large organizations. 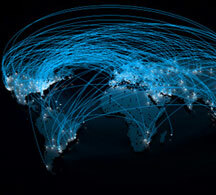 As a telecom equipment and technical services provider, Timeline has developed unique expertise and experience as well as a network of partners that enable Timeline to provide these telecom solutions for OEMs on a global basis. Our service offerings include physical restoration, reconfiguration, testing, repair and exchange services for wireless GSM and CDMA products, wireline circuit and packet switching, power, transport and IT related equipment. Our supply chain management organization manages the end-to-end repair and exchange operations, including call center support, the issuance of RMAs, international documentation and customs requirements, shipping & receiving and warranty management. All equipment repaired or exchanged meets Service Provider and OEM standards. Timeline provides planning, site-surveys, engineering, installation and removal services on a global basis. Timeline works with OEMs in a subcontract role, assisting in the build-outs, reconfigurations and recertification and removal of wireless and wireline networks. Timeline installation services include planning, design assistance, engineering, warehousing and logistics management, installation, troubleshooting, and commissioning as well as ongoing maintenance support as requested. Timeline works with our OEM clients to coordinate the removal of legacy networks, without the interruption of critical services. These services include removal, redeployment, warehousing and logistics management, customs requirements, for International work orders, and asset resale of excess equipment or disposal of the equipment in eco friendly and environmental and regulatory compliant manner. Removal services include a central office and or BTS locations.